Now is the perfect time for a quick getaway, but just thinking about the airport and all the waiting and inconvenience of a commercial flight can kill the dream. Pacific Coast Jet has a fleet of airplane charter in the Bay Area and Oakland, perfectly designed for making traveling short trips a pleasure. Our specialty is providing the right aircraft charter for your needs with the highest level of personal service at an affordable price. With so many tempting locations and destinations just a short trip by plane, Pacific Coast Jet can help you get there with ease. Looking for a warm respite? With average temperatures in the low 80s in March, Cabo San Lucas, Mexico is a perfect weekend getaway. Cabo is known for an array of activities including deep sea fishing, world class golf, authentic dining, luxurious resorts and spas, and of course, relaxing on the beach. For a truly exceptional aircraft charter experience, our experts at Pacific Coast Jet might arrange our Phenom 300 for this excursion. An innovative and extra roomy cabin design provides superior seating for up to 10 passengers, with enhanced cushioning, adjustable headrests and armrests, and full recline capability as well as extra space for legroom, headroom and larger aisles. Cutting edge technology provides touch screen monitors and wireless audio/video streaming. With the largest windows in its class, you will enjoy exceptional natural light and spectacular views. And, a separate baggage compartment will easily hold all your clubs, fishing gear and other necessities. Flying on the Phenom starts your vacation before you even arrive and extends the relaxation of the trip until you have to touch down back home. Antsy for some baseball? Follow your San Francisco Giants to gorgeous Scottsdale for Spring Training. From the Bay Area, our CJ3 is a perfect match for this trip, providing a deluxe cabin with all the amenities you would imagine, while still providing one the fastest and most economical flights. The luxurious seating can accommodate up to seven Giants fans, with multiple seating configurations (in case you have a Dodger’s fan on board as well). Fourteen windows provide abundant natural light and stunning views. If you’re hoping to find some time to enjoy of one Scottsdale’s more than 200 golf courses, no need for concern. The CJ3 has generous storage space to accommodate all your golf bags and gear as well. For this quick flight to Arizona, the CJ3 will more than meet your needs. Longing for powder? All this Olympic viewing has us all dreaming of a ski vacation. With this in mind, Pacific Coast Jet might arrange our Pilatus PC-12 NG, which offers longer flight ranges while still fast and efficient. Able to accommodate up to eight passengers, the luxury cabin of this airplane charter provides captain seating and large tray tables to accommodate entertainment or a laptop and files if you do have to get a bit of work done. Looking to try some East Coast slopes? Our Citation X can travel coast to coast in just four hours. Have breakfast in Oakland and test out the conditions in Vermont by the afternoon. The ultra-luxury cabin on this aircraft charter accommodates up to eight people with space large enough to stand up and stretch your legs during the flight. With a full refreshment and snack center, you and your guests will enjoy your transcontinental trip in relaxed comfort. Time will fly as you do. 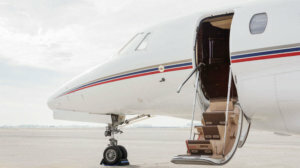 Whatever your weekend travel dreams, Pacific Coast Jet has the airplane charter to accommodate you and your guests. Flying on a Bay Area or Oakland-based jet charter removes the normal hassles of travel. Although you may still have to pack for yourself, the rest of the travel aggravations are essentially removed. With a network of more than 5,000 jets all over the world, Pacific Coast Jet can help plan your dream vacation anywhere. Call now to make your vacation dreams a reality.